www.pawsattheshires.co.uk and www.Lightdraw.com. 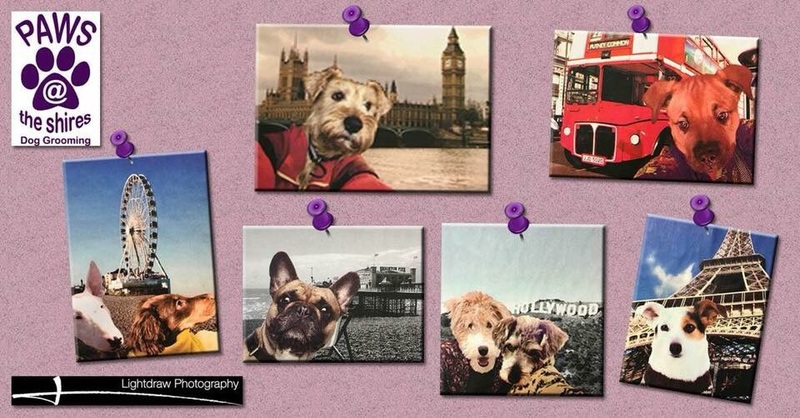 Your furry friend will win a free full groom and then go on to sit their very own professional dog portrait session and a 5×7” fine art matted print of your favourite image. The competition will run for the month of October and a random winner will be chosen on 31st October 2018. Please note you must be available to attend both the groom and photo session on w/c 12/11/18 at The Heart of The Shires Shopping Village, NN7 4LB at PAWS @ The Shires Dog Grooming and Lightdraw Photography Studios. Entrants will only be accepted on this original post and not any ‘shared’ posts. Please ensure that your furry friend does not put himself/herself in any danger to get the best shot! ‘Manipulated’ photos will be accepted.